Rippled Glass Mosaic Brick Tile in Cobalt Blue Irredescent Reflection Color. Sold in 12" x 12" Mesh Backed Sheet. Tile Size 3/4" x 1-5/8". 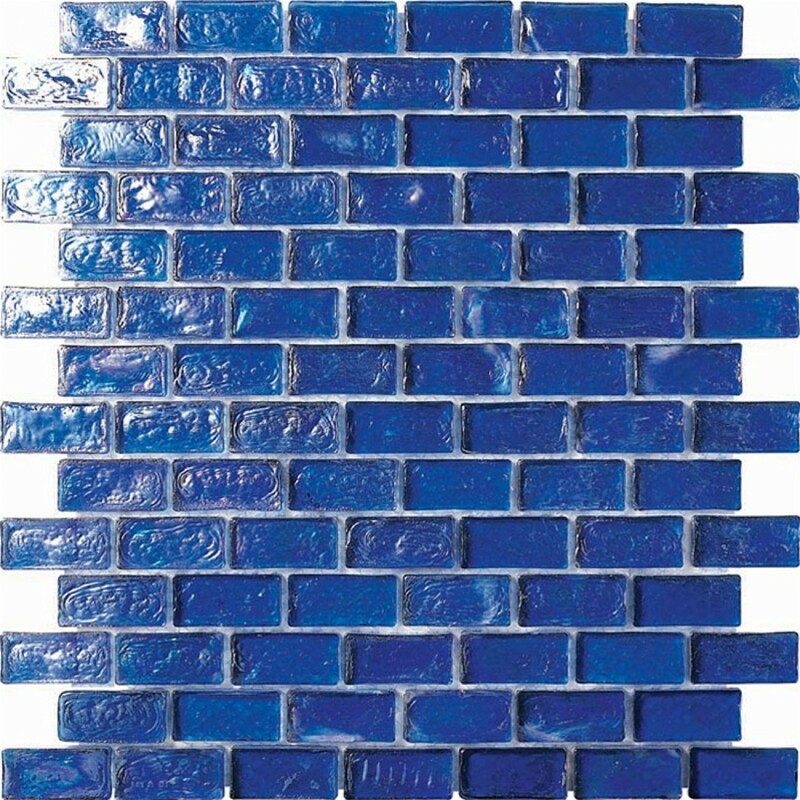 Contemporary glass mosaic brick tiles sold in 12" x 12" sheet, each tile is 3/4" x 1-5/8".